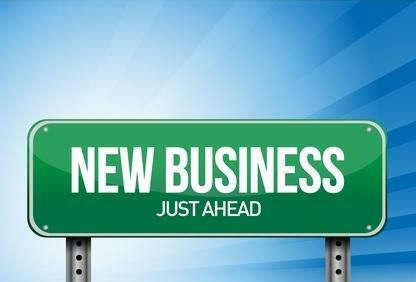 So you want to start a new Florida business. That’s great! Opening a small business in Florida as an entrepreneur can be personally rewarding. We receive calls from future business owners each week seeking help with the paperwork needed to incorporate their Florida business or form a Florida LLC (Limited Liability Company), and we love helping. Quite candidly, speaking with people about forming an LLC or Florida Corporation and obtaining the federal EIN (Employer Identification Number) from the IRS, is very frustrating. Why? Because some people know just enough to be self-destructive, and they need to do more due diligence on the subject. We cannot, in good conscience, allow these people to hire our services. Confusing the concepts of business names, fictitious names, and trademarks. Asking about ways to avoid federal taxes or Florida sales and use tax. Insisting on forming an LLC or a Sub-S corporation, but not knowing basic differences. These indicators suggest that these people are DINOAC (Desperately in Need of A Clue), and they really should talk to a Florida business attorney or tax professional (accountant, CPA) to learn what is in their best interests before launching willy-nilly into important decisions with real-life legal implications. Excitement can cause impulsiveness, and it’s important that you research which business structure is right for you. Just because your friend told you to form an LLC, or you read somewhere that an S Corporation is really what you need, or someone at work told you to just do business in Florida as a “sole proprietor” and register a Florida fictitious name, doesn’t mean that you should blindly pick one without taking time to educate yourself. You’ll have make a decision at some point prior to starting a new business in Florida, but which one? Florida Document Specialists is a nonlawyer document preparation company. We help with Florida business incorporation and Florida LLC formations regularly. But, we are not business lawyers or Florida certified public accountants. We may know the answer to some of your questions, but sometimes the law doesn’t allow us to answer them. We can help you with procedural questions, provide legal information, and we can certainly help you form your Florida LLC or incorporate your new business. We can even help you obtain your federal employer identification number (EIN) from the IRS, but we cannot give you legal advice or financial guidance. Learn the differences and the pros and cons between forming a Florida LLC (Limited Liability Company), starting a Florida corporation, or by doing business as a sole proprietor with a Florida fictitious name (DBA). If you’ve done your research and still have questions, it’s best to consult with an accountant or attorney to answer them. You shouldn’t have trouble finding a professional to give you a free consultation. That’s great! We’ll be happy to help, and we can usually have your Florida LLC or Florida Corporation up and running within 48-hours, including obtaining your EIN from the IRS. Our fee for this service is extremely affordable compared to attorneys or accountants. Call us, and let’s chat about your goals.